We all know that true love can create a great story. It can be for anyone, it can be your soul mate, your girlfriend or boyfriend, your family member or anyone else who you think is important in your life. valentine week list gives you a golden chance to share your stories with the whole world. You can share your stories in Hindi or English. On this Valentine day we have this golden opportunity to make a Love Registry. Come and record your messages below. 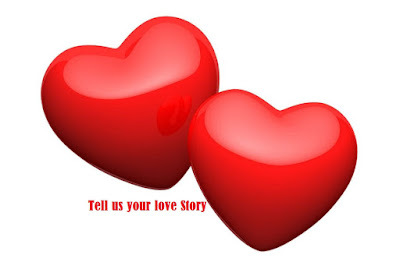 What you can do is you can share your love stories below via our comments form, once we will review it, we will publish it for the whole world to read. You can share your name and address if you like. Your love story will be here forever on our website. So what are you waiting for..just send us lovely stories like how did you meet your partner, how much difficulties you faced kind of things? I Love my Country. I Love u Shalini. Ajay Aman my sons. i love you very much my girlfriend . Humari love story bht ajib h.ek dusre se ek dm opposite. He is very sincere,shy n I m just opposite of him.every relationship needs time,time to understand each other,love each other,except each other.I love him a lot n he loves me more den I love him but he never show.we both are in same city n spends a lot of tym together.I even can't imagn my single day without him.I m totally dependent on him.n I respect him.he excepted all my pagalpan,my crazyness.today its d tym when I hv to go from here to different city.we even won't b able to b together on valentines day.its really hard for us..
My valentine name is kannayya and my name is devil.Actuallly ur love story starts with a wrong call through our frnds.And one day i met him,then we are good frnds, but my family came to know that and they did not belive it as frndship.They warn me not to talk with him then i decided why donot i make him as my valentine.Then it took 6 months time for me and finally one day i proposed him .Initially he did not agreed but later he agreed .And really if i get married with him with my parents permission then am the luckiest person in this world....But i know my parents never encourage intercast margs.So i have to fight with them .so daily i used to pray god that give strength to convience and event fight with them for him.why because we learnt loving other people from them only right. i love my parents and love him more than me.